The discovery of a mold infestation – no matter how small – is never a pleasant experience for the owner of a Toledo home. This hardy and tenacious pest is more than just an aesthetically unpleasing sight but can also pose a health hazard for the inhabitants of the home. Molds – more scientifically accurate, they are a type of fungus – is one of the hardiest and most tenacious creatures on the face of the Earth. 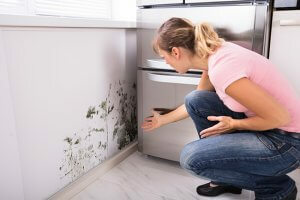 Mold typically prefers dark and damp spaces that also provide an organic substrate on which they can feed. The most obvious evidence of a mold infestation are spots in the sheetrock of a home or on the cinder blocks walls of the basement. Generally black or green, these discolorations usually occur in areas that are not normally observed by a Toledo homeowner. The bathroom and kitchen are common areas outside of the basement that may have signs of mold growth. Does Mold Pose an Immediate Health Issue? The answer to this very consequential question is a resounding “YES.” To many homeowners, mold simply poses an aesthetic problem that must be dealt with sometime in the future. No hurry, no worry. It is a very shortsighted view. Mold-affected areas can cause an immense amount of grief for asthma-afflicted inhabitants and do no good for those the allergies. In short, mold needs to be dealt with ASAP. Where Will You Commonly Find Mold in the House? As mentioned, mold can live in a wide variety of environments. Nevertheless, it thrives best in dark, damp and fairly warm place. Many people first think of the basement. Are you currently running a dehumidifier? 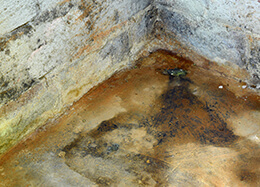 Basements tend to be the first place people think of mold. If your basement has flooded or if you’ve noticed some darkening on your walls, it’s best to get a mold assessment. Your bathroom is typically the next candidate. Do you have a fan that you run after a hot steamy shower? If not, mold can and will grow on your ceiling and walls instead of evaporating. 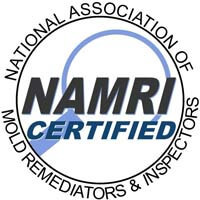 Mold remediation does not present a difficult problem for a professional mold remediation company. 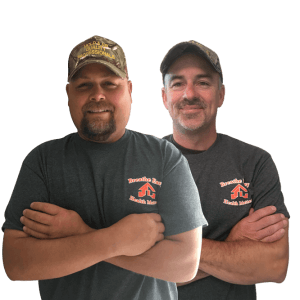 They have the knowledge, the expertise and the tools to do the job properly and at an affordable price. Inexperienced Northwest Ohio homeowners, on the other hand, are not so well-equipped. They may resort to simply cleaning the mold off the affected surface with bleach. While a short-term solution, this process does not really solve the problem in the long term. You must first remove the mold from the infected area using proper precautions not to spread the mold spores. Typically this involves segmenting the area off from all other areas while cleaning. Afterward, a mold remediation company will then run an air scrubber to make sure no lingering particles of the mold remain. The cost of mold remediation or removal in Toledo, Ohio will vary greatly depending greatly on the amount of work that must be done. Access to the affected area will also have an impact on the price. This cost usually runs between $200-$500 for most remediation jobs, although the price will vary depending on scale. 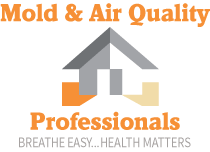 For further information on mold remediation and removal in your Toledo home or to speak with a qualified mold remediation professional, please contact us at the Mold & Air Quality Professionals. We can be found online at MoldAQP.com or reached directly at 734.755.3457.